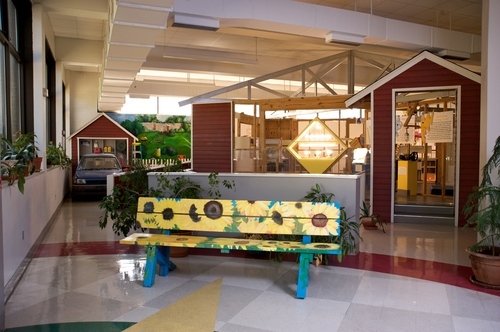 The Interactive Museum (TIM), a two-story environmental showcase that challenges visitors to slide down a giant sewage pipe, lift a week's worth of garbage, or identify sources of air pollution on a moving city scape model. 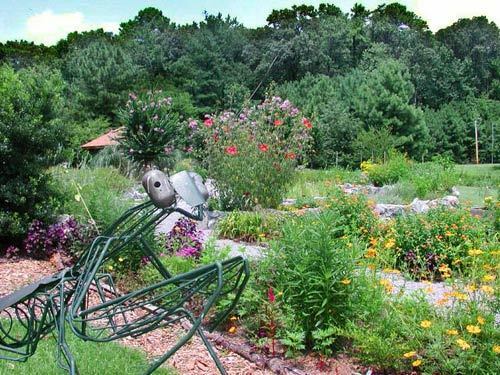 Tour the nearby EcoScape, a 4-acre outdoor classroom with paths winding through a wetland, past bug sculptures and gardens, and along the woodland trail. 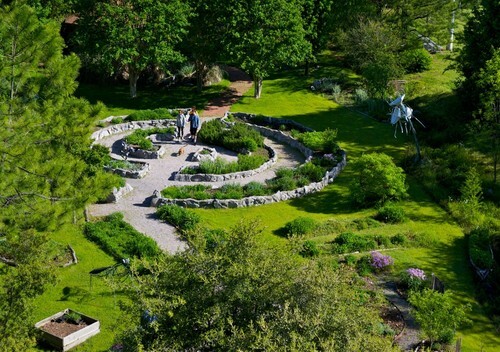 Learn about medicinal plants, edible landscapes, and sustainable landscape practices. Make EcoArt. Transform computer wires, bottle tops, etc. into eco-jewelry. 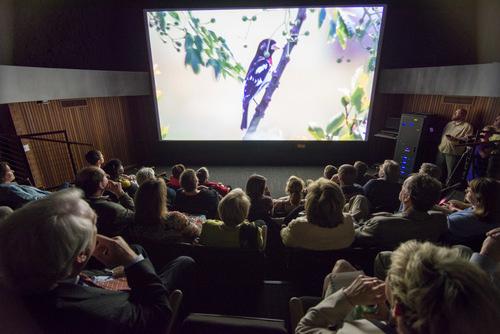 The Alabama GeoDome, a 46-seat 4K theatre, showcases Alabama's natural wonders. 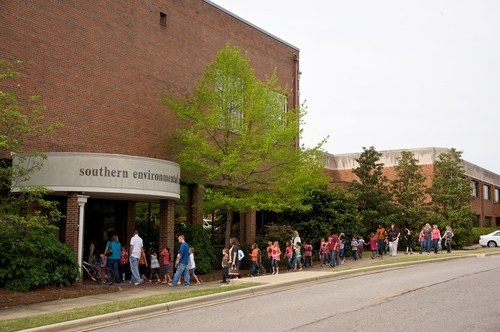 An adaptive reuse of Meyer Planetarium at BSC, it is a tool for introducing visitors to ecological concepts. Video trailers blend GIS mapping, drone footage, and more to feature the state’s ecology. The minimum group size is 10 people. 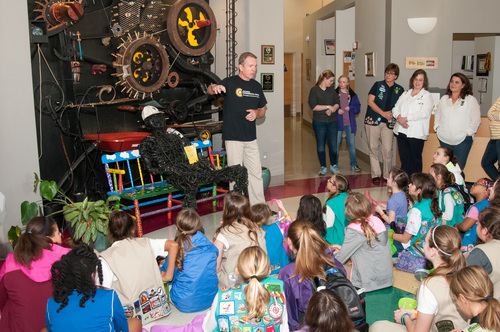 Track A: Interactive Museum and EcoScape tours including EcoArt - 2 hours total. Cost is $5/person. Track B: Geodome video trailers of Alabama natural wonders - 1 hour or less, depending on group size/age. Cost is $5/person. Track A & B: $8/person. Teachers are free.